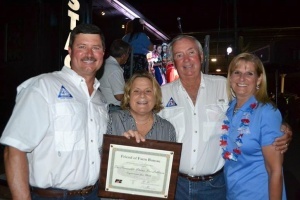 Every Spring Dade County Farm Bureau hosts an annual BBQ and it is the largest farm to table BBQ in South Florida. This year’s event took place at The Di’Mare Annex in Florida City. Thirty-five years running, the event brings the entire community together to enjoy live entertainment, fresh food, and great fellowship. Volunteers and local farmers are recognized for their effortless contributions to the community. The event is truly a big farm family reunion. Some Miami-Dade County young people received an extra surprise this holiday season, thanks to the generosity of Farm Bureau members and other area volunteers. More than 150 children of farm workers had the pleasure of selecting two toys each at the 8th Annual Toy Giveaway. 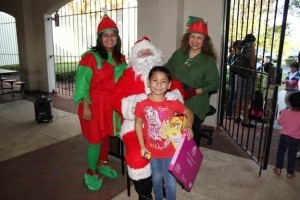 Dade County Farm Bureau holds an Annual Toy Giveaway for children of farmworkers. More than 150 children participate in the toy drive. Each child gets to pick out two gifts. Toy drive is coordinated by the Women’s Committee and is now in its 9th year.